2012 Kia Soul ! 5dr Wagon Auto ! 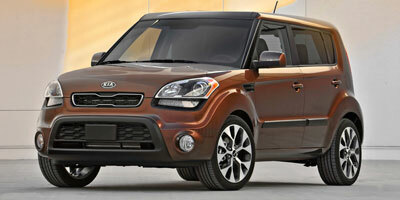 Recently Viewed Cars 2012 Kia Soul ! 5dr Wagon Auto ! Three years ago, Kia made a huge statement by unveiling the Soul – a quirky, boxy, stylized compact car. With it, they kick started a resurgence of their brand and issued in an era of improved sales, vehicle quality, and brand recognition (who hasn't seen the Hamstars do their thing?). The Soul wasn’t exactly desperate for a new look, though we understand Kia’s desire to keep it up to date. 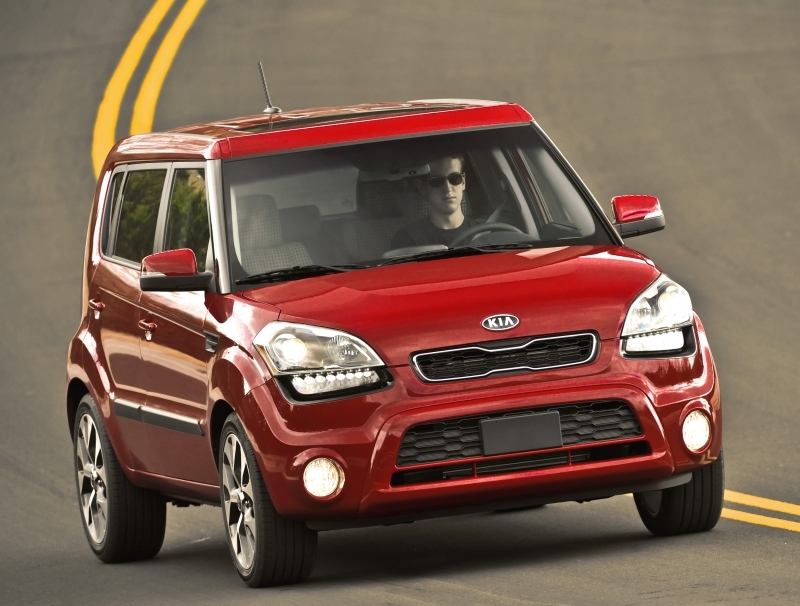 Hence, we have a newly refreshed Kia Soul for 2012. The general body style remains the same with just a few minor updates to the exterior and interior. The biggest changes can be found under the hood; the Soul now boasts two new engines, both of which help to improve fuel economy by 10 percent over the previous iterations. And out go the old transmissions, replaced by more efficient – and more modern – six-speed units. Leading by design, and backed by a 100k-mile warranty, Kia has created a buzz around their products. The Soul was the first out of the gate, but this refresh shows it has the strength to go the distance. The unique look of the Soul hasn't disappeared, just evolved, and the overall design continues to appeal to an audience that takes pleasure in owning a distinct looking vehicle. The 2.0-liter engine is a good balance of power and efficiency. 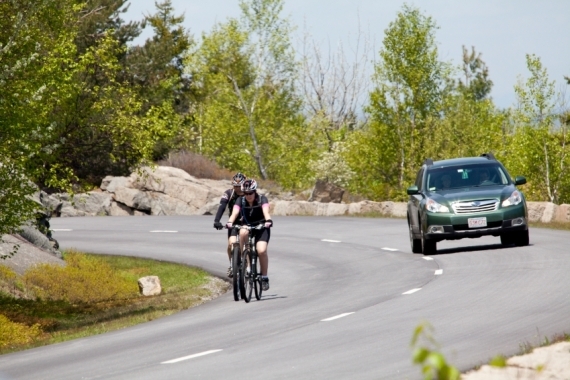 Eco packages can boost fuel economy to 36 mpg highway. Ingress and egress is fantastic. The new transmissions are a big improvement. The suspension’s bump absorption isn’t great – more road feel comes through than we'd like. And that goes for road noise too, a hallmark of most cars this shape. The 1.6-liter engine is vastly underwhelming. There are some cheap materials in the cabin, and the seats feel flat. A center console storage area and armrest combo doesn’t come standard on the base model. Our biggest source of complaint with the Soul had always been its transmissions, which were outdated four- and five-speed units. The addition of two new six-speed transmissions makes for improved efficiency and smoother shifting. At highway speeds the Soul's engines don't rev as high, either – but unfortunately there's noise enough coming from the road. Due to its shape, the Soul feels a little top heavy in corners, but not enough to stop it from being fun on the road. If performance is your thing, opt for the new 2.0-liter engine, which provides quicker acceleration without knocking too many mpgs off the bottom line. The 1.6-liter is too small of an engine to deliver enough power for passing and climbing steep hills efficiently, but it does the trick everywhere else. The highlight of the Soul is its vast interior space, especially for a compact. The cabin feels spacious, and the lifted ride height proves you don’t need an SUV to get a good view of the road. A 1.6-liter GDI four-cylinder engine comes standard in the base model and produces 138 horsepower and 123 lb-ft of torque. Both the Soul+ and Soul! make use of a new 2.0-liter four-cylinder engine with a more robust 164 horsepower and 148 lb-ft of torque. With both engines, a choice of either a six-speed manual or six-speed automatic transmission is available. We want to preface this by noting the shape of the Soul – it’s one that doesn’t lend itself to superior aerodynamics. That’s why we’re pleasantly surprised with the 1.6-liter’s 27 mpg city and 35 mpg highway and the 2.0-liter’s 26 city/34 highway, both are considerably better than then Nissan Cube’s 31 mpg highway. Numbers improve by one or two mpg across the board with the addition of Idle Stop and Go (ISG), a system that turns off the engine when the car is idle. It’s included in an ECO package that also kits the Soul out with low-rolling-resistance tires. Appealing to all of the techies out there, Kia has set satellite radio capability and USB/auxiliary jacks as standard. The base system fully integrates connected mp3 players too, but the base model is truly pared down in most other respects. Creature comforts can be found in the Soul+ and Soul! (the Plus and Exclaim, respectively), like Bluetooth, keyless entry, a sunroof, leather wrapped steering wheel with controls, and an adjustable six-way driver’s seat. Other options we’d recommend: a 350-watt Infinity audio system and the navigation system with rearview camera for improved visibility when backing up. Due to its shape, the Soul boasts spectacular head and legroom for all passengers, and its ride height makes getting in and out a breeze. 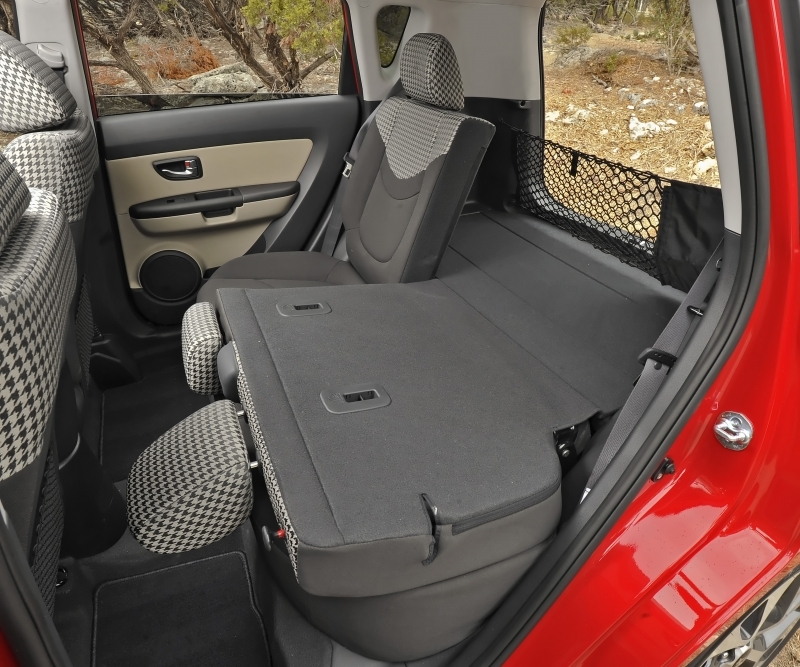 The rear seats fold down for added cargo space too. The instrument panel is clean looking and a little funky, befitting the Soul's nature, and optional geometric seat inserts give it added personality. 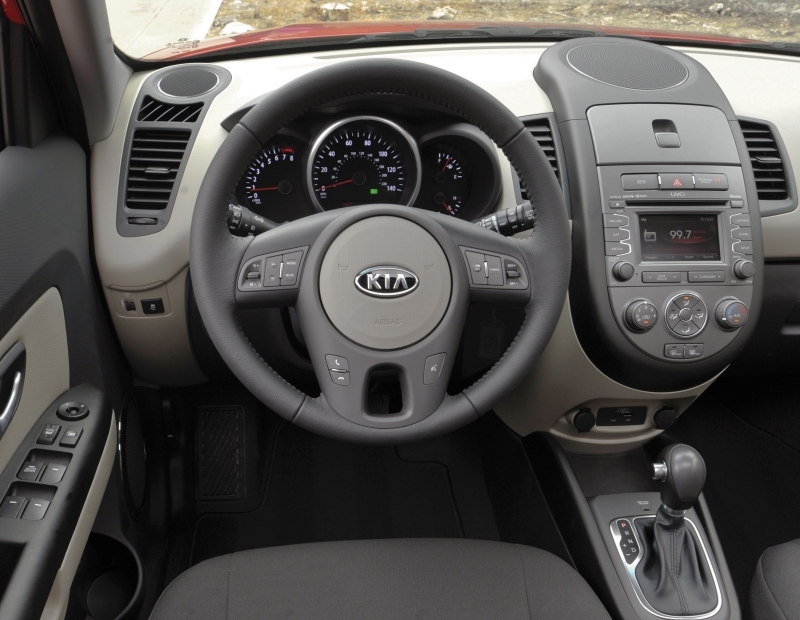 A tilting/telescoping steering wheel comes standard to improve driver comfort. While a new front and rear fascia, hood, and headlights and taillights adorn the Soul, it’s lost none of the quirky styling cues. Big headlights, with LED bulbs on the Soul!, a high belt line, bold wheel arches, and blacked out A- and B-pillars give it a distinctly cool look. Great paint colors like Moss and a variety of wheel choices are also available. The Soul's direct competition comes from the Nissan Cube (starting at $14,740), launched in the U.S. the same year, but cross-shops can be found in a couple of segments. 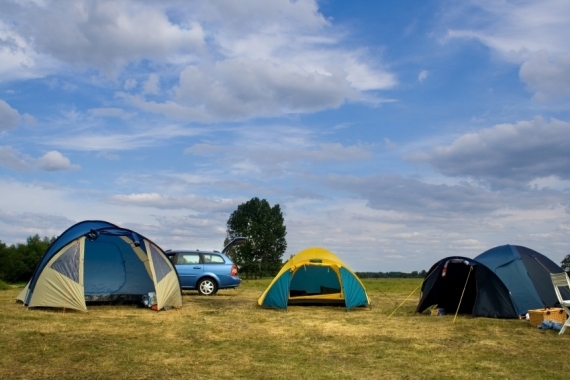 The Honda Fit, Nissan Juke, and even the Mazda5 are worth a look. MSRP start at $13,900 for the base and $15,700 with an A/T. The Soul+ jumps to $16,300 M/T, $17,300 A/T and the Soul! starts at $19,600. 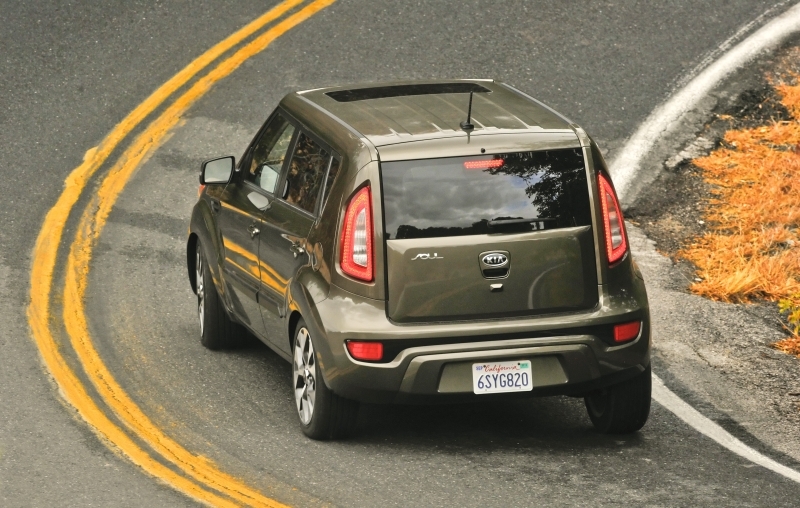 Kia’s Soul is clearly a niche vehicle made for people who are drawn to a car with a quirky, unexpected design. And Kia could have stopped there. Instead, they’ve added some great features to the boxy Soul, improved fuel economy, and actually made it more fun to drive. It’ll never bring in the big sales numbers – they have other models for that – but it fits the bill for a selective group of buyers.